Du hast mega Lust zu tanzen, bist zwischen 13 und 16 Jahren, dann bist du bei uns genau richtig! 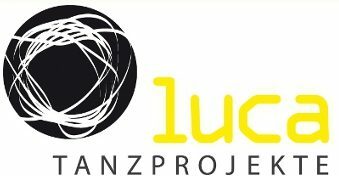 Luca Tanzprojekte macht euch GLÜCKLICH!! sind ON FIRE und wir legen los! Native from the Netherlands where she received her Bachelor’s degree in Dance and Theatre in 1995, Marjon lived and worked in New York City from 1992 until 2000 as professional dancer, teacher, choreographer, producer as well as Certified Pilates instructor ( Classical Pilates Certified by Romana since 1997). She mounted her contemporary Jazz Dance Company; Memento Dance Company in 1996 in New York City. After New York City, she moved to Paris to continue her work there for two years. She briefly moved to South Korea, to return to Paris again. Back in The Netherlands in 2003, she re-mounted her dance company: Memento Dance Company and traveled with it all over Europe, United States and Canada.In 2004 she opened her own studio in The Netherlands called: Memento Bodyworks, studio for Pilates – Body Therapy and Performing Arts. Many international teachers from the theater and dance world would come to teach at her studio. Her company and her work as choreographer put a great stamp of importance when it comes to Jazz Dance in The Netherlands. In April 2007, Marjon joined Cirque du Soleil and toured as Artistic Director on Cirque du Soleil’s first Arena show Delirium until its closing in 2008, one year later. She was hired as OVO’s Artistic Director for the creation in 2008 and took the show on the road until it closed its doors under the Big Top in June of 2015. Looking for a new challenge Marjon took over QUIDAM as Artistic Director until the iconic show took it’s final bow in early 2016. Marjon returned to OVO and was an instrumental player in the artistic remount of the show while it was morphing into an arena spectacular. In December 2016 Marjon left Cirque to pursue her dreams as Artistic and Creative Director on her own, with the support of the large network she established over the years of touring the world. 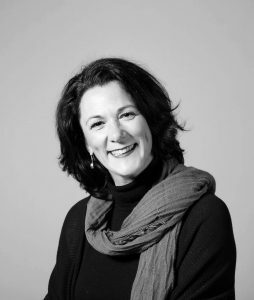 She now works as Creative & Production Manager for the new creation of CARO at Efteling Theatre Productions. In addition she concluded a small tour with Memento Dance Company in Canada as part of the Festival de Danse Encore en Tournee. Next year her company will be featured at the 25th edition of the Festival de Danse Encore in Trois-Rivieres, Quebec, Canada. Marjons‘ diverse career portfolio is a reflection of the hard work and dedication she has put into developing her range and talent as a professional Director and Creator, and a testament to the unique style and positive attitude she brings with her on every project. Ob in Klassik, Modern, Jazzdance, Musical oder Flamenco trainierte und ausgebildete TänzerInnen, in Sonias Training können sich alle einer gesunden Herausforderung stellen, und versuchen, ihre eigenen Grenzen zu überschreiten. Sowohl als Tänzerin als auch als Trainingsleiterin ist Sonia bestrebt, die Balance zwischen Technik und Ausdruck zu finden. Dabei profitieren die TeilnehmerInnen von ihrer über 25jährigen Bühnenerfahrung, was Haltung, Bewegung und Präsenz angeht. Ihr größtes Anliegen aber ist es im Workshop Spaß und Freude am täglichen harten Training eines Tänzers zu vermitteln. Sonia wurde in Madrid, Spanien, geboren und ist in Deutschland aufgewachsen. Ihre Tanzausbildung erhielt sie an der John-Cranko-Schule in Stuttgart. 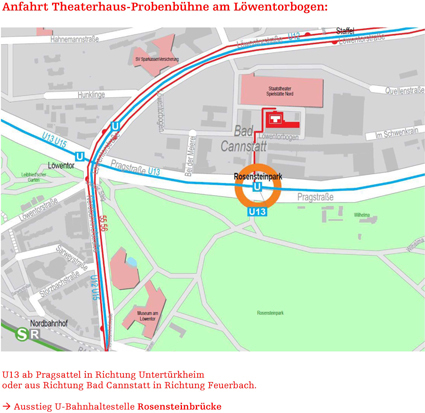 Nach Engagements in Saarbrücken und Hannover, tanzte sie von 1990 bis 2001 beim Stuttgarter Ballett, zuletzt als Erste Solistin. Nach der Geburt ihres Sohnes 2001 arbeitet sie freiberuflich als Ballettmeisterin, Pädagogin und Tänzerin. Sie gibt regelmäßig klassisches Training an verschiedenen Ballettschulen in und um Stuttgart. 2005 erhielt sie ihr Diplom als staatlich anerkannte Pädagogin. Seit 2006 ist Sonia Santiago verstärkt im Bereich Tanzprojekte mit Kindern und Jugendlichen an und in Schulen tätig. Engagements dieser Art waren u.a. das Musik- und Tanzprojekt „move the music“ (2006-2009)mit ihrem Kollegen Lior Lev, von April-Juni 2009 ein IMPULS Projekt (Orphée et Euridice) von der Jungen Oper, Staatstheater Stuttgart, so wie das 2011 ins Leben gerufene Jugendprojekt „Move it!“ des Stuttgarter Balletts, bei dem sie die künstlerische Leitung übernahm und das dieses Jahr unter dem Namen „Move it! Krabat“ bis April 2013 weiterlief. Es gibt noch freie Plätze…schnell anmelden! Created by 3podi.de · Theme Button 2 by Automattic.